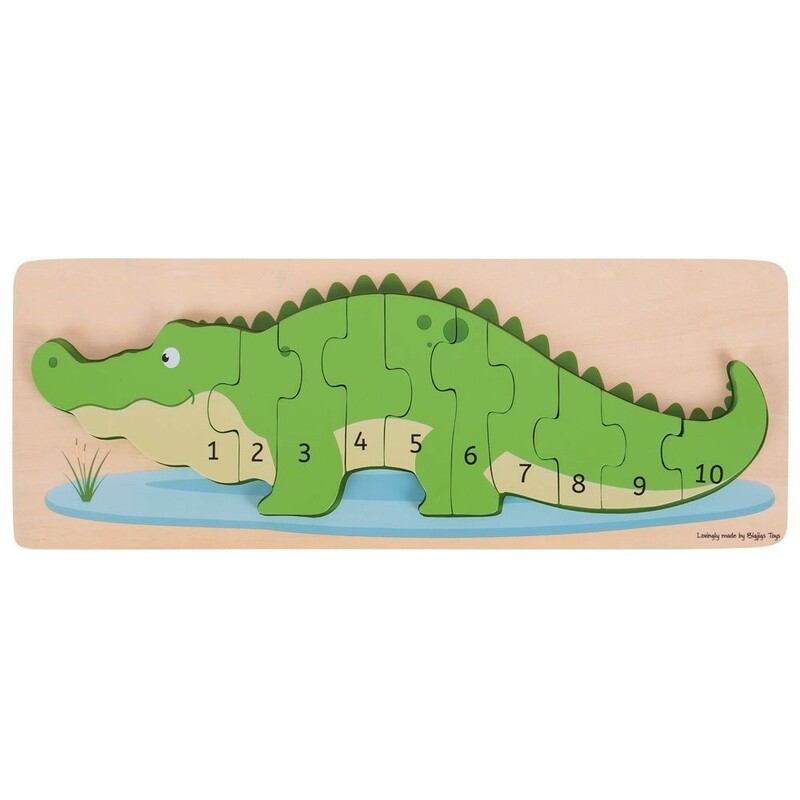 This smiling crocodile is waiting to teach your little ones counting and numbers one to ten! Match the number on the puzzle piece to the dots on the baseboard as you play with this smart crocodile! 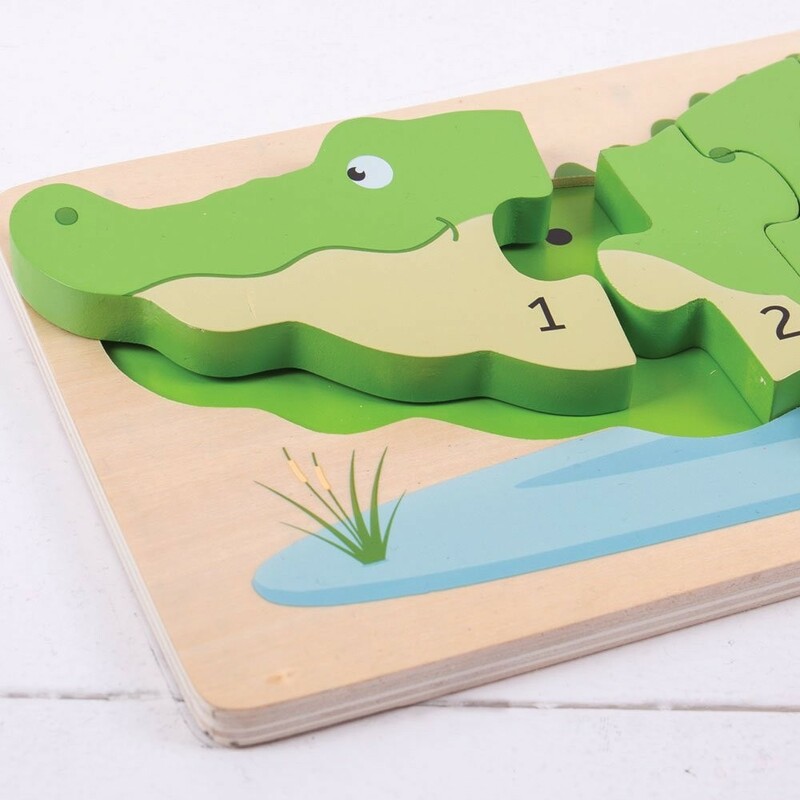 Crocodile Number 10 pc Wooden Puzzle by Bigjigs is a chunky wooden puzzle perfectly sized for little hands to lift, grasp and place. 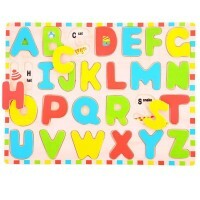 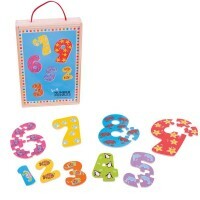 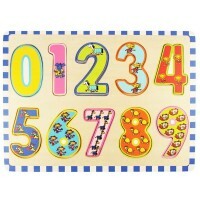 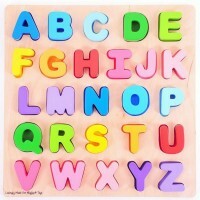 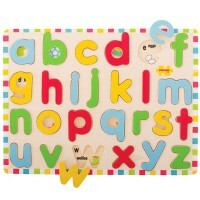 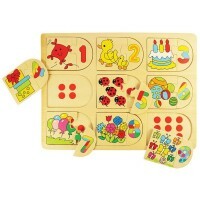 This new Educational Toys Planet's number puzzle is made from quality, responsibly sourced materials. 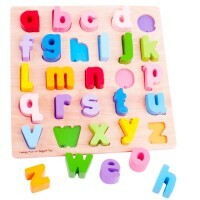 This chunky wooden puzzle has 10 pieces. 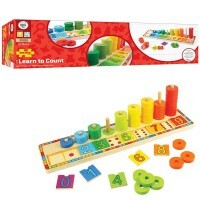 The wooden base board of this puzzle is printed with images and colors to aid the learning process and add educational value. 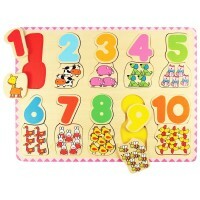 The puzzle board is 16.73 inches long. 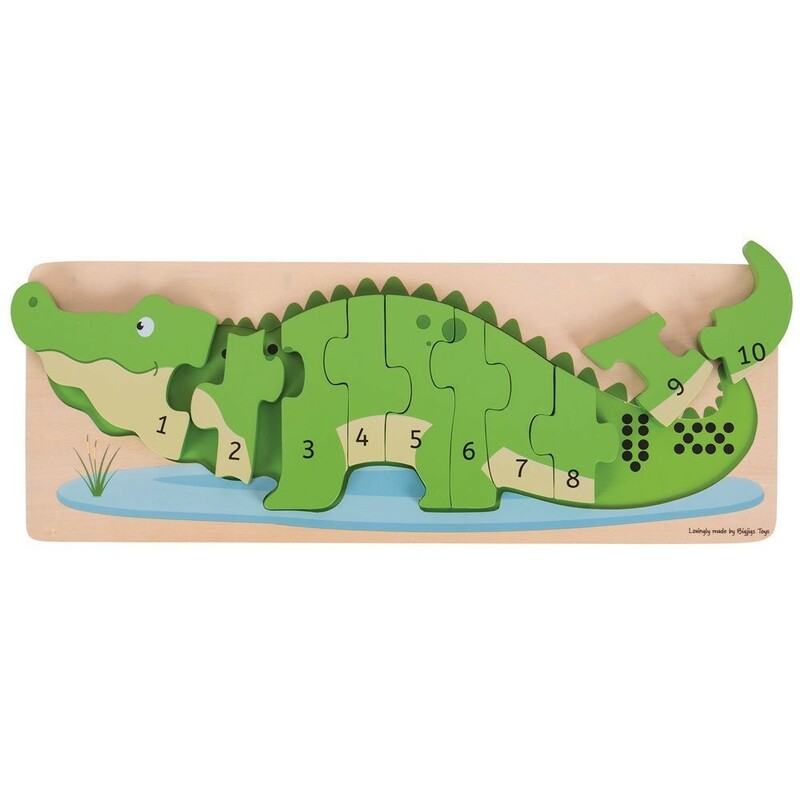 Dimensions of package 16.73" x 0.77" x 6.3"
Write your own review of Crocodile Number 10 pc Wooden Puzzle.